SCS students enjoy the second annual student retreat at Georgetown’s Calcagnini Contemplative Center in Bluemont, Virginia. Who are you? What communities in your life make a claim on you? 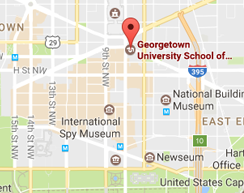 What are your hopes and dreams as a student at Georgetown’s School of Continuing Studies? 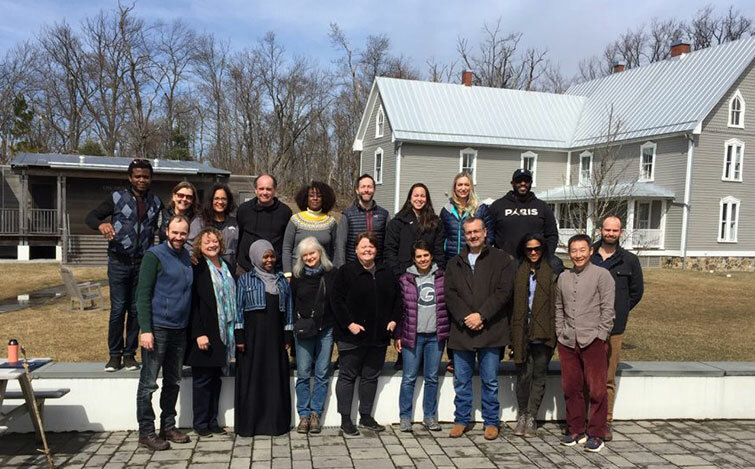 These were the questions that framed the second annual SCS student retreat from Saturday, March 9 to Sunday, March 10, 2019 at Georgetown’s beautiful Calcagnini Contemplative Center in the Blue Ridge Mountains of Virginia. Students were invited to answer questions about their identity, communities, and education in advance of the retreat to inspire a deeper reflection on their personal narratives. During the retreat, students pondered their answers about how they make meaning of the world as they progress through their time at Georgetown. Framed as an invitation to “Explore Your Sacred Story” and rooted in Ignatian spirituality, the retreat provided a welcoming space for people of any faith tradition or none at all. During group reflection, students were able to hear from classmates in other programs, a welcome opportunity to celebrate the diversity of the SCS student community. 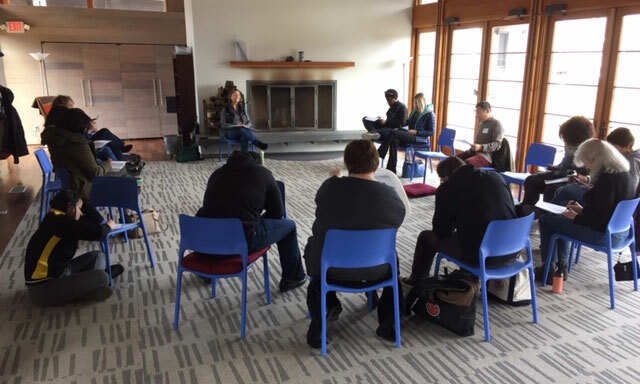 The space created on retreat also provided invaluable learning opportunities to practice active and empathetic listening, a key skill in any professional and continuing education discipline. The SCS student retreat provided time for both individual and group reflection in the quiet of the Blue Ridge Mountains. Retreats are not only valuable for their focus on the past but also on how the reflective distance from one’s daily life encourages a constructive look to the future. Retreatants might ask themselves: How is this quiet time inspiring me to shape my resolve for tomorrow? In the silence of personal guided reflection, how am I being invited to make a change in my life? SCS students interested in contemplative experiences should check out the variety of retreats offered by Georgetown’s Office of Campus Ministry and the spiritual life activities hosted at SCS. Jamie is the Associate Director for Mission Integration at Georgetown University School of Continuing Studies. He has over 10 years of experience in urban policy research, legislative advocacy, and faith and justice issues. Prior to Georgetown, Jamie served on President Obama’s Strong Cities, Strong Communities initiative.